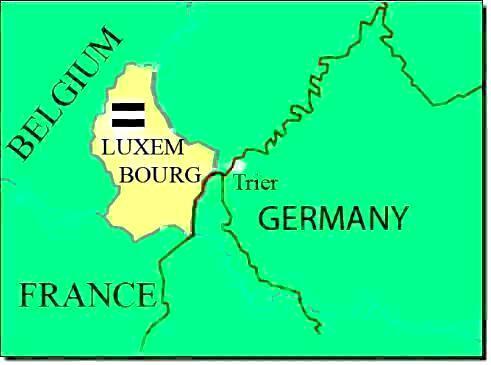 The southeastern border of the small country of Luxembourg shares 1 km of the river Moselle with France and 37 kilometers of the same river, named the Mosel, with Germany. The Moselle/Mosel is navigable from Nancy, France to its junction with the Rhine at Koblenz, Germany. The EuroCanals Guide for the Mosel River of Luxembourg is included in "Waterways of Germany", part of the EuroCanals Guides Online Library.